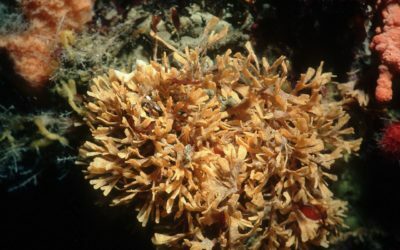 Findings from a major international investigation into the distribution and abundance of Antarctica’s vast marine biodiversity – the Census of Antarctic Marine Life (CAML) – will be presented on Monday 4 October at the Royal Institution in London. CAML is a major International Polar Year (IPY) initiative and component of the Census of Marine Life (CoML), which will mark the end of its 10-year programme and celebrate the work of more than 2,700 scientists from 80 nations. 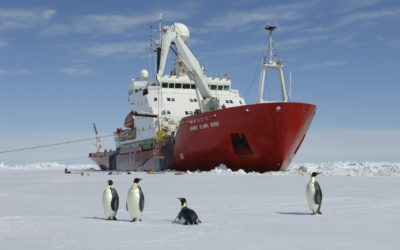 Marine Biologists from British Antarctic Survey (BAS) were involved in the biggest Antarctic marine survey for the CAML investigation, which saw 19 separate voyages to Antarctic waters to collect marine life samples from over 2,000 locations all around Antarctica. “CAML has been an extraordinary 5 year programme and has offered us opportunities to collaborate internationally on a big scale. By building strong partnerships with scientists from around the world we have achieved such comprehensive results. For example, working with the Canadian Centre for DNA Barcoding we identified hundreds of new species. 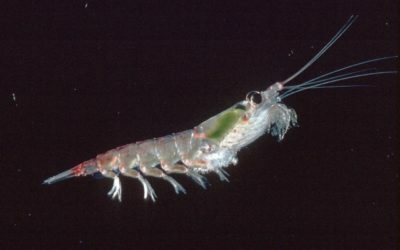 At BAS, with the help of colleagues from New Zealand, we identified a new species of amphipod crustacean (closely related to Epimeria georgiana — see image above), which looks a bit like a shrimp. Natural variation in the shape and colour of this creature makes it difficult to tell if the ones we found were the same type of species, or not. 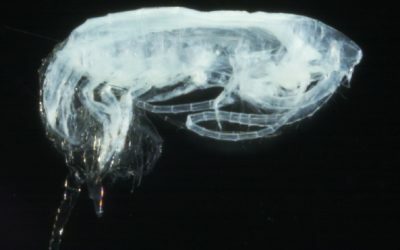 Using DNA barcoding it was possible to identify this animal as a different species that was new to science. N.B. Huw Griffiths will be attending the news conference at the Royal Institution (21 Albemarle Street, London, W1S 4BS) on Monday 4 October and will be contactable on his mobile number. British Antarctic Survey (BAS) is a component of the Natural Environment Research Council, delivers world-leading interdisciplinary research in the Polar Regions. Its skilled science and support staff based in Cambridge, Antarctica and the Arctic, work together to deliver research that underpins a productive economy and contributes to a sustainable world. Its numerous national and international collaborations, leadership role in Antarctic affairs and excellent infrastructure help ensure that the UK maintains a world leading position. BAS has over 450 staff and operates five research stations, two Royal Research Ships and five aircraft in and around Antarctica.